Looking down at someone’s feet has become a natural habit of mine. At this point it’s more of a mannerism, really. I don’t intend to do it, I just do. At first it started as a socialization method; I tried to predict someone’s interests by analyzing what was on their feet. It’s not a bad measurement. After all, my boyfriend is my boyfriend because I told him I liked his shoes in a food truck line. I realize that it’s no new revelation that a shoe– a sneaker, especially– can give you insight into who a person is, but it’s something I’ve been thinking about a lot as I spend this summer in Brooklyn. First, I obviously was super excited to briefly be the obscure subject of a rap, even as a joke. And in such a quintessentially “Brooklyn” moment. Then, I noticed two of the three kids were wearing the same pair of AF1’s. There’s a lot of cultural threads connecting here– sneaker culture, Hip Hop culture and black culture. I’ve been doing some intentional foot-checking since that moment; looking down trying to find the significance of the intersection. I’m making mental notes of all the black kids wearing Air Forces and moving all of the subconscious cues to front of mind. So much is articulated through the Air Force 1– which style you have (The white-on-white lows are my favorite, and probably yours, too. ), whether you keep them religiously clean or get ‘em a little dirty, how you strategized to walk without creasing them and if you see them as a casual look or your dressy shoe option. But beyond that, the Air Force 1 signals something for black people that can’t be as easily communicated. Like everything that matters in this life– sneakers have been racialized. For better or worse. We could get into the complex history of sneaker culture, starting with an examination of what initially differentiated the Converse wearer from the Nike wearer. We can dissect what exactly Nike did to galvanize momentum in youth culture and essentially introduce the idea of “hyped” streetwear. We could thread together the marketing strategies that centered blackness to push product. We could examine the natural and almost seamless merging of sneaker culture and black culture, by linking the rise of sneakers to the popularity of basketball, a sport which is dominated professionally by black athletes. We could trace the impact that sneakers had on status, which was strong enough to prompt robberies and murders. There are several ways in. But because I was raised against a Hip Hop background, when I first think of the Air Force 1, I think of Nelly. Nelly’s song “Air Force Ones,” released in 2002. For context, I was four. I obviously wasn’t yet immersed in sneaker culture, or even too aware of what a sneaker was. 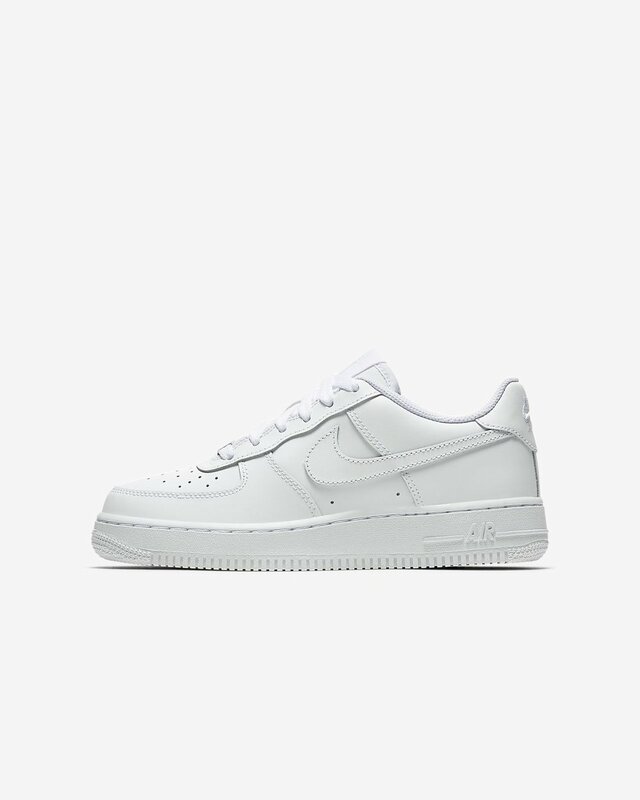 But when it was time to get a “crisp white gym shoe,” the staple my mother insisted everyone needed in their wardrobe, I wanted the Air Forces. I remember my cousin singing the chorus to “Air Force Ones” every time I walked into the room with them on. I don’t think we even explored other options when “crisp white gym shoe” shopping. The AF1 was the obvious, if not only, choice for a black kid– of any gender or socioeconomic status– in the mid-2000’s. Which leaves you to wonder why. Why is the shoe named after the president’s plane-- a nod to an institution which has very rarely represented the experiences of black people– so prevalent in black culture? Hip Hop has a lot to do with the 1’s sustained icon status in the black community. 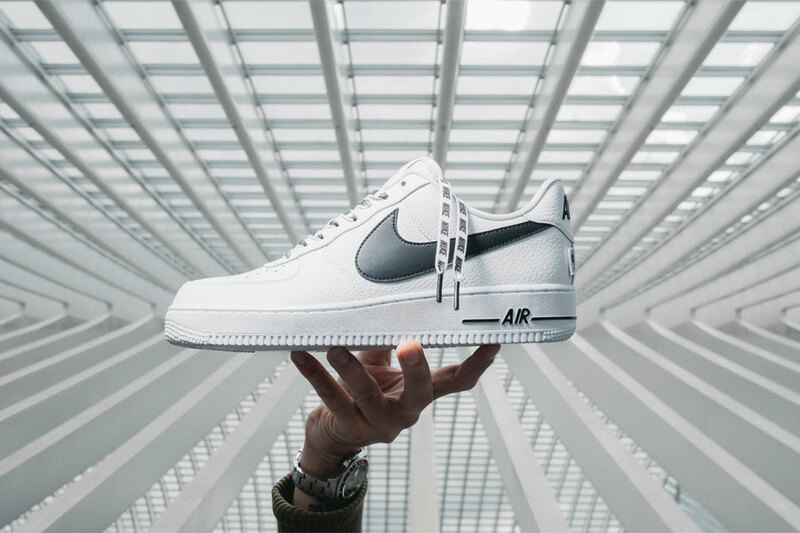 Aside from Nelly’s tribute– Nas, KRS-1, Kanye West and Rakim teamed up to make the song “Classic: Better Than I’ve Ever Been,” that centers the AF1. “I came in the door, became one of y’all’s leader / In a fresh pair of Air Force 1 sneakers,” Rakim raps. The track was released on Nike Records and performed at the AF1’s 25th anniversary event. The Diplomats also deserve some credit here, as Juelz Santana provided the soundtrack for that same anniversary campaign’s “Second Coming” ad. Appropriately, his Harlem group The Diplomats embraced the “Uptowns.”Cam’ron name-dropped the Air Force on Diplomatic Immunity's “What’s Really Good”, and they were regularly seen wearing the shoe. Hip Hop icon Jay Z’s endorsement of the Air Force 1 also elevated it’s cultural currency. “For all my n****s with the all-white Air Force 1s and black guns,” he rapped on “Can I Live II.” He wore Air Forces in very public and culturally relevant spaces, like the 2001 MTV Awards. With a demeanor characterized by a smooth effortlessness, he helped to further the permeation of the AF1 into black culture. 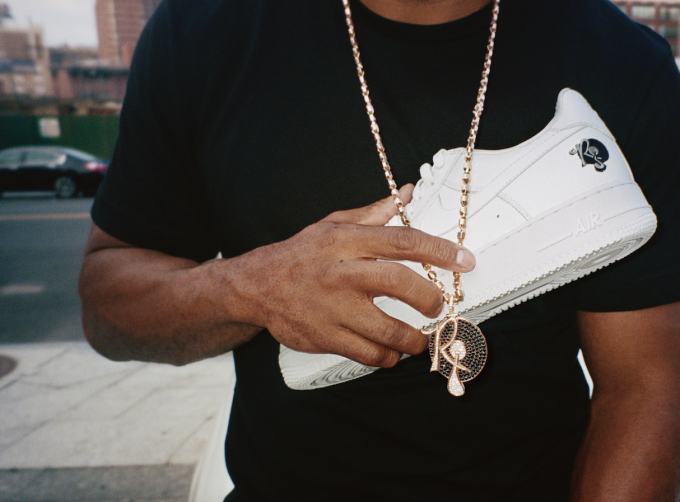 Roc-A-Fella Records left the legacy of “one and done” with AF1’s, as they only wore a pair once before retiring them. A fresh pair everyday. The new aspirational standard. So a plain shoe has taken hold of a typically flashy culture. I can only imagine it’s because the simplicity offers a blank canvas onto which you can project yourself. While it is obvious that not only black kids wear Air Forces, the story of the shoe is different when told from the black perspective. Although the shoe transcends race, it’s relevance in different societies is not the same. Contextualizing the sneaker into the black and Hip Hop experience tells a narrative of status and identity existing in a new way for marginalized people. The blank canvas of the AF1 is especially empowering in the context of black expression, as black youth has so long been stifled, categorized and predetermined as a certain type of person. Coming to fruition alongside basketball and Hip Hop, two mediums of black creativity, the AF1 fits perfectly into our story. The shoe champions and coincides with a key principle of Hip Hop: Individuality. The AF1 may appear an unimaginative sneaker, but imagination is ultimately its ultimate currency. An opportunity to wear what is “in,” while extending your own personal preferences; a way to instantly connect to your culture and separate yourself from the crowd. The comfort of the shoe was a feat of design, but also a metaphor for how easily one could forget themselves when wearing it. One shoe, somehow, fits all. The perfect sneaker. This is probably why there’s a ridiculous amount (over 2,000) of versions of the AF1. Anyone who knows me knows I’m trying to get my hands on a pair of the Roc-a-Fella 1’s (I’m a size 8, if you have a spare. ), which are another example of Jay Z’s involvement with the shoe’s legacy. Special editions of the AF1’s have allowed a reimagination of the AF1, but never a reinvention. (Remember, it never really changes.) Virgil Abloh, the man with his finger on the pulse of the culture, has released three pairs alone. The shoe isn’t just immersed in culture, it is culture. It has been revered and reviewed by countless articles and even has it own documentary. Legendary shoe designer Tinker Hatfield got into the shoe design business because of the Air Force 1. He was so impressed by the sneaker that he fell down the sneaker design rabbit-hole, and gave us the Air Jordan, another cultural style staple. The Nike commissioned documentary series on the Air Force stresses the intimacy of the relationship between Hip Hop and basketball and was part of a strategic messaging and marketing plan. A way of not marketing the shoe, and mostly letting cultural forces like celebrities, movies and videos do the work for them. There are very few campaigns for the sneaker. Why would there be? After all, the video from Nelly’s “Air Force Ones” was banned from several music channels, as it was considered too close to an advertisement. It’s proved profitable. About $800 million worth of revenue is generated by the AF1 every year. Hip Hop, the most expressive and poignant culture in the world, took and reciprocated the opportunity provided by the AF1. It just goes to show– when you give the culture something, the culture gives back. Which is why, the fact remains, the black kids wear Air Forces.